Many teens have excessive sweating and odor issues. 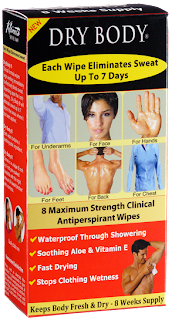 Dry Body wipes can offer a solution. 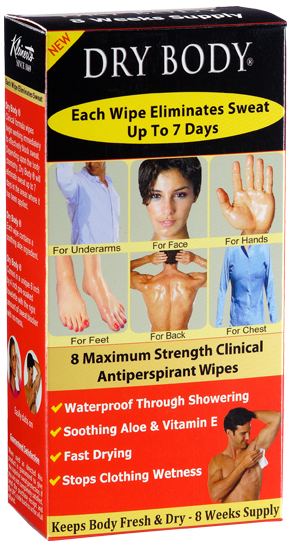 Our Dry Body wipes will stop sweating and odor problems for up to a week per wipe. There are no side effects and the problem is resolved.